• Lisa Beaven and Karen Lloyd, “Cardinal Paluzzo Paluzzi degli Albertoni Altieri and His Collection in the Palazzo Altieri: The Evidence of the 1698 Death Inventory, Part II,” pp. 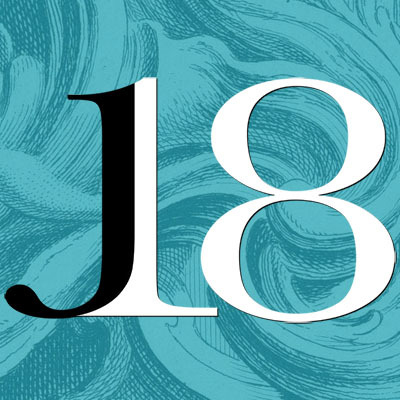 1–16. “This article is the second part of a study of the collection of Cardinal Paluzzo Altieri (1623–1698) based on the evidence of his 1698 death inventory. Part I considered his paintings collection, housed on the first piano nobile of the palace. This study moves to the second piano nobile apartment and considers a broader range of material objects, including sculpture, tapestry, devotional objects, and naturalia, some of which (such as the American import, chocolate) reflect the globalization of the early modern world” (from the abstract). • Noam Sienna, “‘Remarkable Objects of the Three . 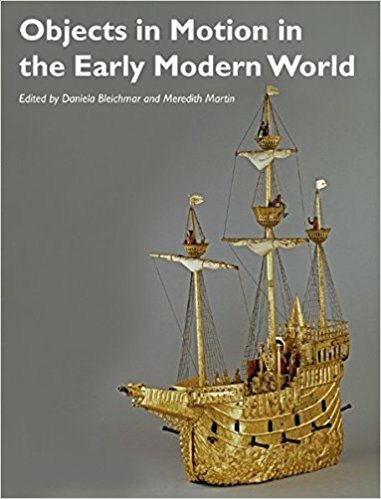 . . Main Religions’: Judaica in Early Modern European Collections,” pp. 17–29. “The diverse collections of early modern Europe, housed in cabinets of curiosities and Kunstkammern, attempted to capture the wonder of the world through specimens of nature, classical and other artefacts, scientific instruments, works of art, and rare and curious objects from around the world. While it is known that they included objects of ethnographic interest from the New World, Africa, and Asia, the place of Judaica in these collections remains largely unknown and unexplored. This article presents an analysis of the collection and display of Jewish objects in Europe from the sixteenth to the eighteenth centuries” (from the abstract). • Renata Schellenberg, “The Literary Legacy of the Düsseldorfer Gemäldegalerie,” pp. 31–40. “This article explores a range of literary responses to the Düsseldorf picture gallery in the eighteenth century. It examines in particular the ways in which written accounts of experiencing the Düsseldorf collection reveal the contemporary understanding of its works of art and their modes of display. 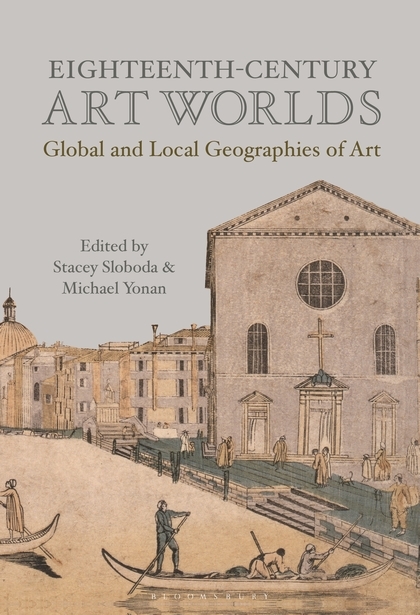 It investigates the ways in which texts bear witness not just to the art in the collection but also to the social interactions informing their representation to readers” (from the abstract). • Sileas Wood, “‘After the Very Rare Original’: Artist and Antiquary the Revd John Brand,” pp. 41–52. “During the closing years of the eighteenth century, minister and antiquary the Revd John Brand (1744–1806) undertook an extraordinary project of creating facsimile drawn copies of rare prints, with which to illustrate James Granger’s Biographical History of England. Between 1790 and 1800 Brand personally created over 400 drawn copies of portrait prints which can be identified through his own annotations, a manuscript catalogue, and the catalogue of his posthumous sale. This paper will examine Brand’s surviving works, his processes and the ways in which his drawings were shaped by his status as an antiquary, amateur artist, and print collector” (from the abstract). • Roberto González Ramos, “Treasures and Collections in the Colegio Mayor de San Ildefonso and University of Alcalá: Trophies, ‘Spolia Sancta’ and Museum,” pp. 111–30. “The Colegio Mayor de San Ildefonso and University of Alcalá was an important cultural institution in the Hispanic world of the early modern era. Founded by Cardinal Ximénez de Cisneros (1436–1517), it assembled an important group of symbolic objects, amongst them trophies, relics, images and mirabilia. The beatification of the founder led not only to a corresponding increase in the numbers of those objects, seen as relics, but also to their display in particular places, with the creation of a number of proto-museums. With the coming of the Enlightenment, a number of veritable museums were formed, with consequent changes in the values attributed to the symbolic items. From that time until the creation in 1836 of the University of Madrid, by making use of the assets and professorships of the University of Alcalá, the remaining symbolic objects were considered primarily as illustrating the history of the institution” (from the abstract). • Marc Fecker, “Sir Philip Sassoon at 25 Park Lane: The Collection of an Early Twentieth-Century Connoisseur and Aesthete,” pp. 151–70. “Sir Philip Sassoon (1888–1939) housed the largest and most valuable part of his collection in his lavish Park Lane residence in London. It was demolished in the early 1960s and the collection is now dispersed. This paper reconstructs the collection at Park Lane, which consisted predominantly of French eighteenth-century fine and decorative art, as well as English eighteenth-century portraiture and works by contemporary artists, many of which were commissioned by Sassoon. It explores how he moulded the collection he inherited from his parents and his maternal grandparents, Gustave and Cécile de Rothschild, to his own taste, and to his own time, while continuing the Rothschild tradition” (from the abstract). • Dora Thornton, “Baron Ferdinand Rothschild’s Sense of Family Origins and the Waddesdon Bequest in the British Museum,” pp. 181–98. “Baron Ferdinand Rothschild (1839–1898) is usually remembered for Waddesdon Manor in Buckinghamshire and for the Waddesdon Bequest, his splendid gift of Renaissance treasures to the British Museum, recently reinterpreted in a new gallery. The author analyses Baron Ferdinand’s unpublished reminiscences, revealing his interest in the history and mythology of the Rothschilds as a Frankfurt Jewish banking dynasty. The status and significance of Judaica in the Waddesdon Bequest and other family collections is also explored within the context of nineteenth-century collecting, the development of the art market and an emerging sense of a Jewish European history and identity” (from the abstract). • Peter Mason, Review of Elizabeth Horodowich and Lia Markey, eds, The New World in Early Modern Italy, 1492–1750 (Cambridge University Press, 2017), p. 199. • Barbara Furlotti, Review of Adriano Amendola, Ritratti di bronzo: Il Medagliere Orsini dei Musei Capitolini di Roma (De Luca Editore d’Arte, 2017), p. 200. “By offering the first catalogue of the Medagliere Orsini, now preserved at the Musei Capitolini in Rome, this lavishly-illustrated volume enriches our knowledge of this prestigious noble clan from an original perspective. The first part of the book features three essays . . . The first essay reconstructs the complex history of the Orsini collection of ancient coins and modern medals between the death of the last Duke of Bracciano, Flavio Orsini (1620–1698), and the acquisition of what was left of the collection by the Municipio di Roma in 1902. The second essay focuses on the collecting interests of some members of the Orsini family [during the sixteenth and seventeenth centuries]. . . The third essay, which is based on a large corpus of unpublished documents, offers interesting insights on Paolo Giordano II’s patronage and on the celebrative medals commissioned by Pope Benedict XIII Orsini (1649–1730). . . The catalogue of the Medagliere Orsini occupies the second part of the book. It includes fifty-two entries dedicated to medals, and seventeen entries for plaquettes and seals” (199). • Eloisa Dodero, Review of Klauss Fittschen and Johannes Bergemann, eds., Katalog der Skulpturen der Sammlung Wallmoden (Biering & Brinkmann, 2015), pp. 204–05. “The Wallmoden statues are still beautifully displayed in the Institute of Archaeology at Göttingen and the new catalogue . 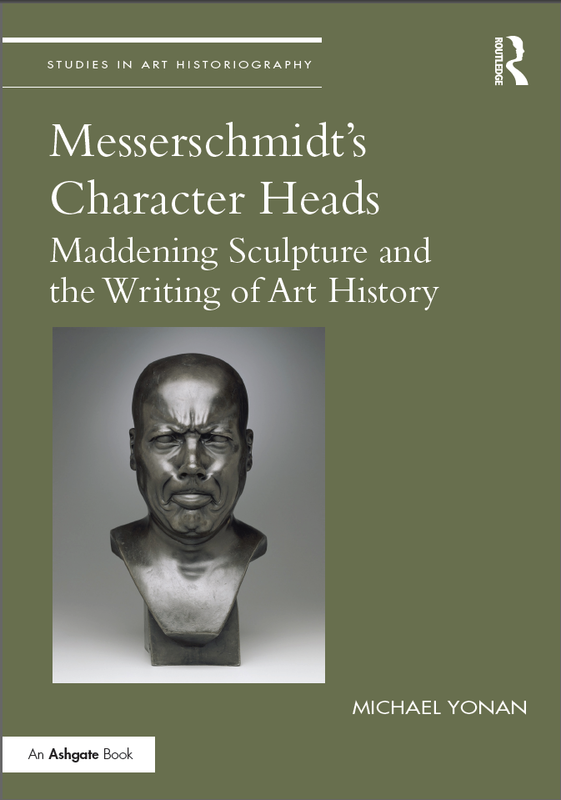 . . is an appropriate fulfilment of almost forty years of research on one of the oldest assemblages of ancient sculptures in Germany and an exceptional testimony of the eighteenth-century reception of ancient art. The collection, which formerly included also paintings, gems, books, drawings, plaster casts and copies after the Antique, was formed in the second half of the eighteenth century by General Johann Ludwig von Wallmoden (1736–1811), later Reichsgraf (Imperial Count) von Wallmoden-Gimborn, an illegitimate son of King George II of Great Britain” (204). • Stephen Harris, Review of Sarah Easterby-Smith, Cultivating Commerce: Cultures of Botany in Britain and France, 1760–1815 (Cambridge University Press, 2017), pp. 206–07. • Arthur MacGregor, Review of Margot Finn and Kate Smith, eds., The East India Company at Home, 1757–1857 (UCL Press, 2018), pp. 207–08. Donatella Biagi Maino, “Gaetano Gandolfi’s Album of Prints by Giambattista and Giandomenico Tiepolo,” pp. 45–54. Focusing on a little known album of prints assembled by Gaetano Gandolfi (1734–1802), the article explores the relationship between Bolognese and Venetian art in the second half of the eighteenth century, with a particular emphasis on the generative role of the works of Giambattista and Giandomenico Tiepolo. • Angela Nikolai, Review of the exhibition catalogue, Zeichenunterricht: Von der Künstlerausbildung zur ästhetischen Erziehung seit 1500 (Graphische Sammlung ETH Zürich, 2017–18), pp. 63–64. “On its 150th anniversary, the Graphische Sammlung ETH Zurich hosted three exhibitions, the last of which presented and drawings related to artistic training since the sixteenth century” (63), focusing on Italian, Dutch, and German engravings and etchings from the sixteenth to the nineteenth centuries. 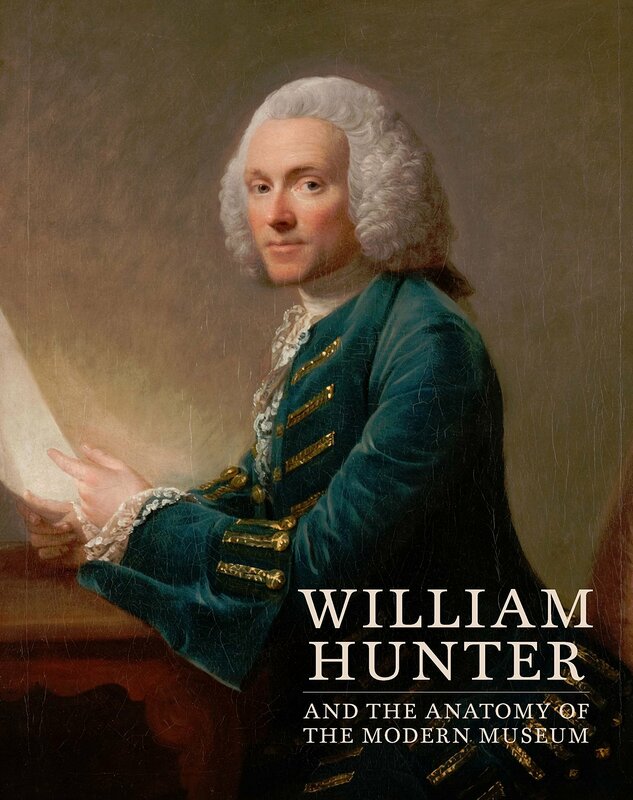 “The selection ranges from reproductive prints of antiquities and painted academy scenes to anatomical prints or sheets from drawings books” (64). Chinese Bird-and-Flower wallpaper at Felbrigg Hall, Norfolk, ca. 1752, woodblock-printed outlines with the colours added by hand (David Kirkham / National Trust). 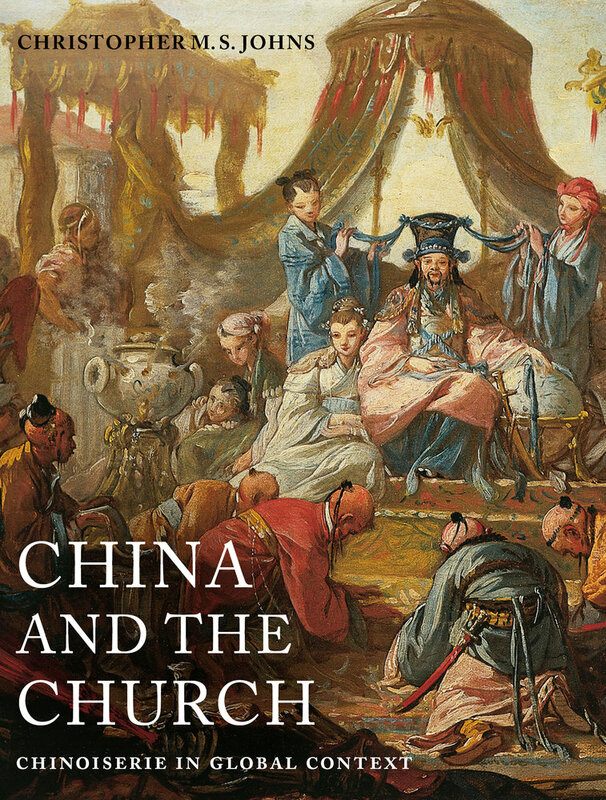 • Ming Wilson, Review of Emile de Bruijn, Chinese Wallpaper in Britain and Ireland (London, Philip Wilson Publishers, 2017), pp. 64–66. 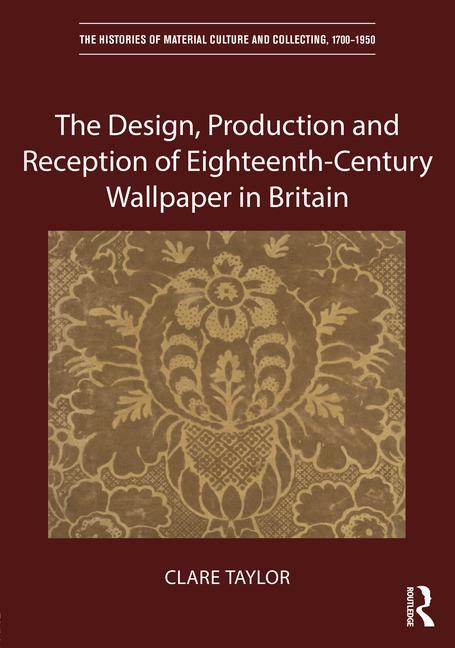 Drawing on the archives of the National Trust and on works still in situ, this volume establishes a chronology charting what kind of wallpaper was in fashion in the British Isles from 1740 onwards. 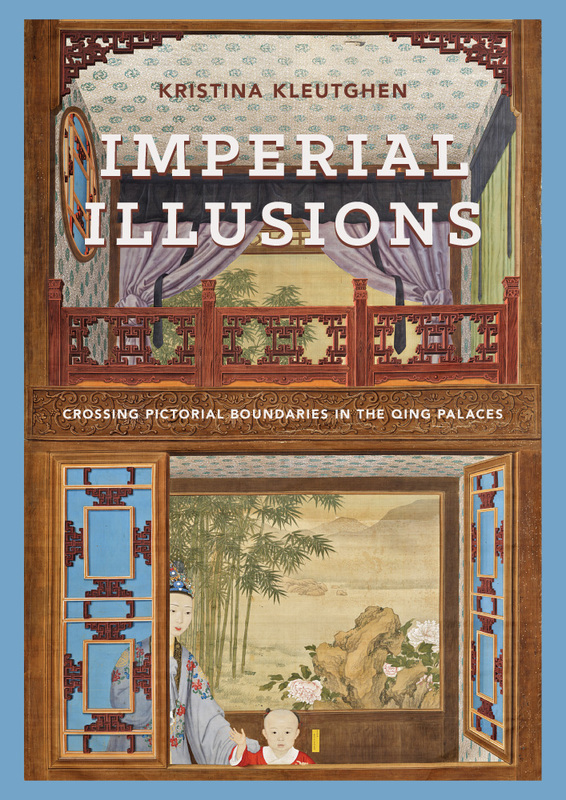 “It is no exaggeration to say that this book is a comprehensive listing of all Chinese wallpapers known to be in existence today and an indispensable reference work on the subject, with a history of British interior design thrown into the bargain” (66). • Armin Kunz, Review of the exhibition catalogue, Copy.Right: Adam von Bartsch: Kunst Kommerz Kennersschaft (Kunstsammlung der Universität Göttingen, 2016), pp. 66–68. The 31 essays “assembled in this volume present welcome additions to these final chapters in the long-neglected history of the reproductive print” (68). Kitagawa Utamaro, The Courtesan Onitsutaya Azamino Tattooes Her Name and the Word ‘inochi’ (Life) into the Arm of Her Lover Gontar, a Man of the World, ca. 1798–99, woodblock print (Boston: MFA). • Ellis Tinios, Review of Sarah Thompson, Tattoos in Japanese Prints (MFA, Boston: 2017), pp. 68–69. “Thompson’s concise and informative introductory essay explores the meaning of tattoos in Japanese society. . . Large-scale body tattoos appear to have originated in the late eighteenth century among ‘bandits’ and were then taken up by petty criminals, firemen, and others on the margins of society. The practice was banned in the 1810 with little effect” (68). • Desmond-Bryan Kraege, review of Rolf Reichardt, ed., Lexikon der Revolutions-Ikonographie in der europäische Druckgraphik, 1789–1889, 3 volumes (Münster, Rhema, 2017), pp. 70–71. “The fruit of extensive documentary research in the collections of almost 50 European institutions,” this publication “provides a good complement to an encyclopaedic work that is set to become an indispensable reference for students of print culture and political art during the long nineteenth century” (71). Anonymous artist after a drawing by Robert Bonnart, published by Nicolas Bonnart I, Portrait of Catherine Thérèse de Matignon, Marchioness of Seignelay, Wearing Fontange, a Black Veil and Mantua with a Blue Petticoat, 1690–96, hand-coloured etching and engraving, 290 × 196 mm (London: British Museum). • Anthony Griffiths, review of Pascale Cugy, La Dynastie Bonnart: Peintres, Graveurs et Marchands de Modes à Paris sous L’ancien Régime (Presses Universitaires de Rennes, 2017), pp. 103–05. The Bonnart family “are one of the few producers that have given their name to a genre: in the nineteenth century ‘Bonnarts’ became a term used to define the full length men and women in fashionable clothing standing against a plain or a simple background” (103). 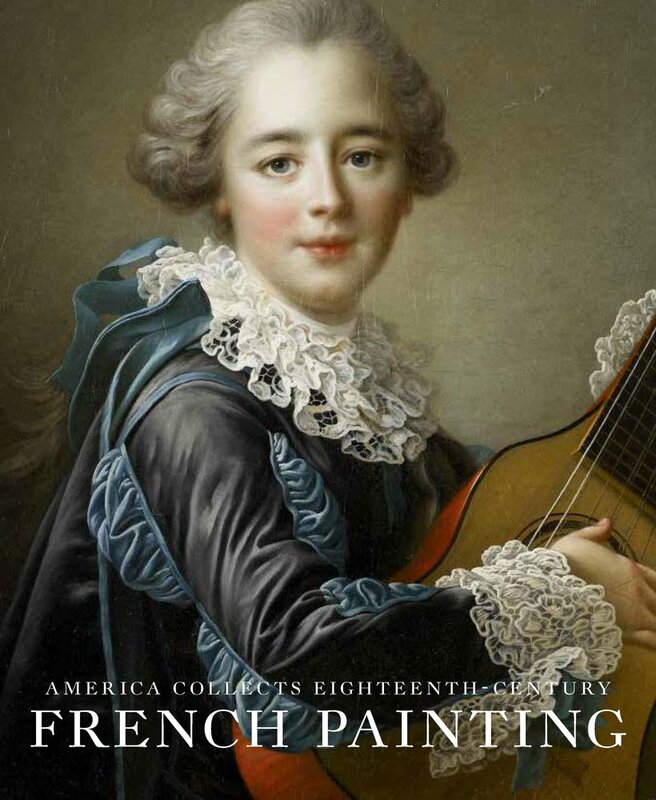 This book focuses on the production of the Bonnart family over a century, shedding new light on eighteenth-century France not only from an artistic point of view, but also from a social and legal one. • Marc McDonald, review of exhibition catalogue, Ceán Bermúdez: Historiador del arte y coleccionista ilustrado (Madrid, Biblioteca Nacional de España, 2016), pp. 106–11. Drawing upon a rich variety of sources, this catalogue focuses on one of the most eclectic and interesting figures of the Spanish Enlightenment: the art collector, patron, writer, and historian Juan Augustín Ceán Bermúdez (1749–1829). “Ceán is often described as the first historian of Spanish art and his writings include translations, catalogues, and descriptions of art collections” (106). 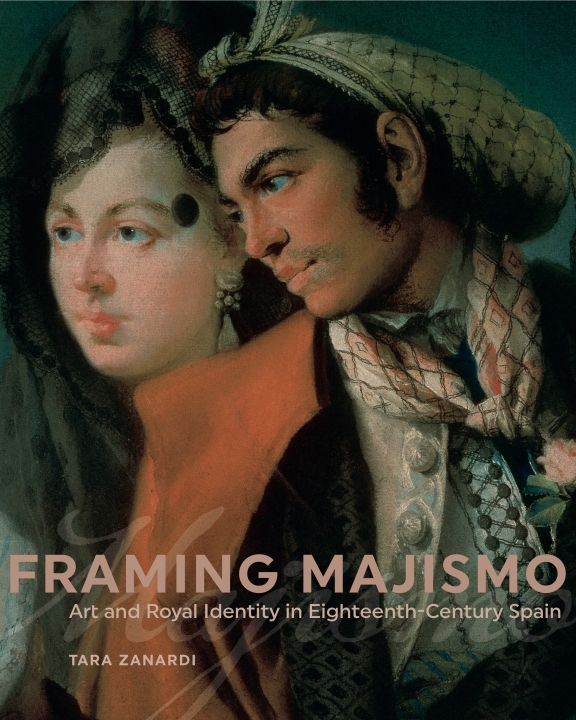 With five chapters and 158 individual entries, this publication from the 2016 exhibition in Madrid “presents groundbreaking scholarship and is the most complete study of this fascinating figure” (106). 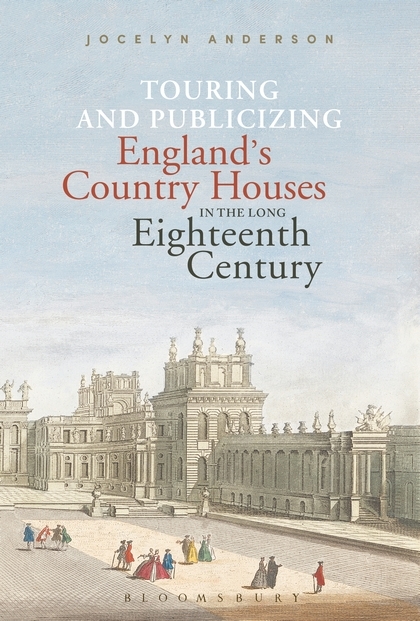 The eighteenth century in The Burlington: (with the issue focused on Westminster Abbey) . . .
• Susan Jenkins, “‘Sunbeams and Shadows’: Exhibiting the Collection at Westminster Abbey,” pp. 4–8. The Queen’s Diamond Jubilee Galleries, opened last year, display works of art and historic artefacts from the collections at Westminster Abbey, London. To introduce this special issue of the Magazine, the Abbey’s Curator, outlines the history of the building’s museum displays and explains the thinking behind the new galleries. • Gordon Higgott, “Sir Christopher Wren’s Failed Project for a Crossing Tower and Spire at Westminster Abbey, 1713–25,” pp. 44–57. In 1713, with funds available for ‘finishing’ Westminster Abbey, the Surveyor to the Fabric, Sir Christopher Wren, began to plan the addition of a lofty crossing tower and spire. After Wren’s death in 1723 the proposal was shelved by his successor, Nicholas Hawksmoor, who recognised that it presented an insoluble structural problem. • Lynn Jones, Review of the exhibition Armenia! (The Metropolitan Museum of Art, 2018–19), pp. 60–63. • Eric Zafran, Review of the exhibition The Orléans Collection (New Orleans Museum of Art, 2018–19), pp. 67–69. • Reinier Baarsen, Review of the exhibition Luigi Valadier: Splendor in Eighteenth-Century Rome (The Frick Collection, 2018–19), pp. 70–71. • Michael Hall, Review of Karl-Georg Pfändtner, ed., ‘Gold und Bücher lieb ich sehr…’: 480 Jahre Staats- und Stadtbibliothek Augsburg (Quaternio Verlag, 2017), pp. 85–87. • Roger White, Review of Rosemary Yallop, Cottages Ornés: The Charms of the Simple Life (Yale University Press, 2017), pp. 89–90. • Gauvin Alexander Bailey, Review of Vittorio Magnago Lampugnani, Die Stadt von der Neuzeit bis zum 19. Jahrhundert: Urbane Entwürfe in Europa und Nordamerika (Verlag Klaus Wagenbach, 2017), pp. 92–93. François Vivares after Samuel Wale, Trade Card of Henry Scott, Gardener and Fruitseller, Weybridge, Surrey, 1754, etching and engraving, 281 × 211 mm (London: The British Museum). • Bryony Bartlett-Rawlings, “Jonathan Richardson (1667–1745) as Etcher,” pp. 392–406. On the basis of the 1772 auction catalogue for the sale of Jonathan Richardson Jr’s collection, the article sheds light on Richardson’s activity as a printmaker, his working method, and intended audience. By quoting contemporary correspondence by and on the artist, the article also places Richardson’s etchings within the context of his life and work. • Martin Hopkinson, “Gardeners’ Trade Cards by William Kilburn and François Vivares,” pp. 420–26. Deservedly famous for his outstanding textile designs and illustrations to William Curtis’s Flora Londinensis, Kilburn also etched a trade card for the gardener Thomas Greening, an image of great botanical precision. A comparison is drawn with two elaborate trade cards for gardeners by François Vivares. • Jean-Gérald Castex, Review of the exhibition catalogue, A Kingdom of Images: French Prints in the Age of Louis XIV, 1660–1715 (Getty Research Institute, 2015; and Bibliothèque National de France, 2015–16), pp. 430–32. • An Van Camp, Review of Ad Stijnman and Simon Turner, ed., The New Hollstein Dutch & Flemish Etchings, Engravings, and Woodcuts, 1450–1700: Johannes Teyler and Dutch Colour Prints, parts 1–4 (Sound and Vision Publishers, 2017), pp. 432–34. • Ger Luijten, Review of Nico Boerma, Aernout Borms, Alfons Thijs, and Jo Thijssen, eds., Kinderprenten, Volksprenten, Centsprenten, Schoolprenten: Populaire grafiek in de Nederlanden 1650–1950 (Uitgeverij Vantilt, 2014), p. 434. • Anthony Dyson, Review of Richard Goddard, ‘Drawing on Copper’: The Basire Family of Copper-Plate Engravers and Their Works (Maastricht University Press, 2016), pp. 437–39. • Notice of the exhibition catalogue, Marcela Vondráčková, Norbert Grund (1717–1767): Půvab všedního dne / The Charm of the Everyday, Czech and English (National Gallery in Prague, 2017), p. 459. • Patricia Emison, Review of Susanna Berger, The Art of Philosophy: Visual Thinking in Europe from the Late Renaissance to the Early Enlightenment (Princeton University Press, 2017), pp. 471–74. 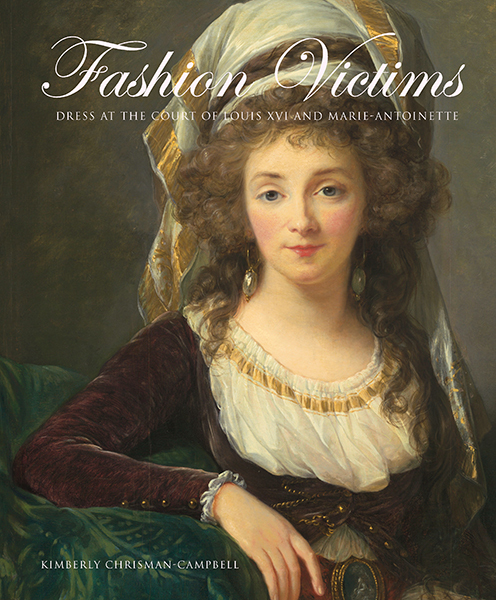 • Sarah Grant, Review of April Calahan, Fashion Plates: 150 Years of Style (Yale University Press, 2015), pp. 474–78. Image from the front cover: Vase ‘Théricléen’, formerly with gilt-bronze handles, hard-paste porcelain, painted in enamel colours and gilt. The side of the rim bears the Sèvres factory mark for 1844 and a printed label lettered “Given by His Majesty King Louis Philippe First, King of the French, to Wm. Standish Standish, ESQ., September 1844.” 51cm high, including an ormolu base 2.8cm high (The Bowes Museum, Barnard Castle, 1995.33). Diana Davis, Oliver Fairclough and John Whitehead, eds., French Porcelain in the Nineteenth Century, 1789–1918: Makers, Markets and Museums. The French Porcelain Society Journal 7 (2018), 282 pages, £20 UK, £30 overseas. The French Porcelain Society is delighted to announce the publication of its new journal French Porcelain in the Nineteenth Century, 1789–1918: Makers, Markets and Museums. Dedicated to the porcelain specialist Anthony du Boulay, the journal has been edited by Diana Davis, Oliver Fairclough and John Whitehead. 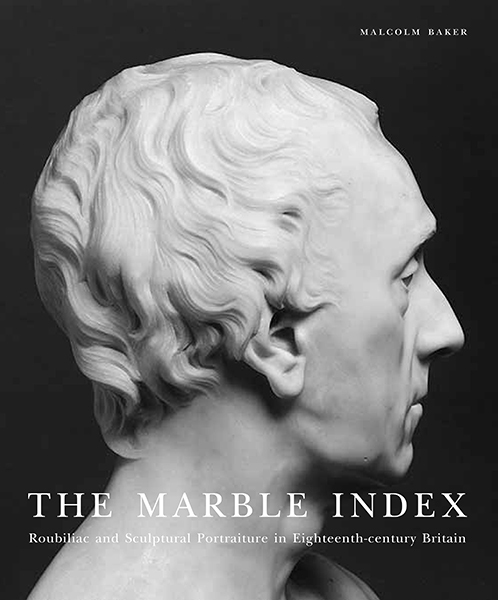 Thirteen peer-reviewed articles, fully illustrated in colour and black and white, cover, among much else, topics such as porcelain made in the service of the French Revolution, the formation of outstanding British collections of French porcelain by George Watson-Taylor and Lady Dorothy Nevill, the influence of the historian Baron Jean-Charles Davillier, the growth of the new museums and the role of the dealer in decorative art. Towering over the whole is Alexandre Brongniart, with articles on the Expositions des Produits de l’Industrie française and his influence on the ceramics collection at the little-known Museum of Practical Geology in London’s Jermyn Street. Other contributions discuss technical advances at the Sèvres manufactory during the nineteenth century, Paris porcelain, nostalgia for ‘vieux Sèvres’ and ‘vieux Saxe’ in France, a ceramics conundrum of grand vases, a royal gift from Louis Philippe to the Standish family, and, leading into the twentieth century, the ceramics of Seraphim Soudbinine. Selecting, collecting, classifying, curating, displaying, narrating, disseminating, transporting, entertaining, educating, subverting: what other single object does all of that at once? Ordering knowledge through the rationale of a sequenced and empirical display of data (visual, textual, material), the album became an archetypical site of the eighteenth century’s way of thinking about and representing the world. Neither a treatise implementing a master-hypothesis nor a random gathering of material, albums can be described as both hybrid and structured objects. They have the physical structure of a book and the appearance of a narrative but are also sheer displays, a rhetorical organization of iconic discourses and a virtual folding or unfolding of larger ideas with specific agendas. They simultaneously contain pictorial imagery (paintings, drawings, pressed flowers, cut-ups, etc.) and are themselves artistic creations. They provide microcosmic and portable representations of a polity, a culture, or an individual. Unexpected mixtures of media and topics also invite us to think through hybrid regimes of readability, visibility and seriality. Often studied for their contents rather than as creations in their own right, albums raise many important questions regarding their status as archival or museum objects. Their contrived nature makes them ideal objects to be studied in terms of social practice, identity politics and interconnectedness as they invoke relationships, compositions and collectivity. As the contributors to this issue of Journal18 amply demonstrate, albums offer a very fertile ground for probing the material and intellectual productivity of cultures. 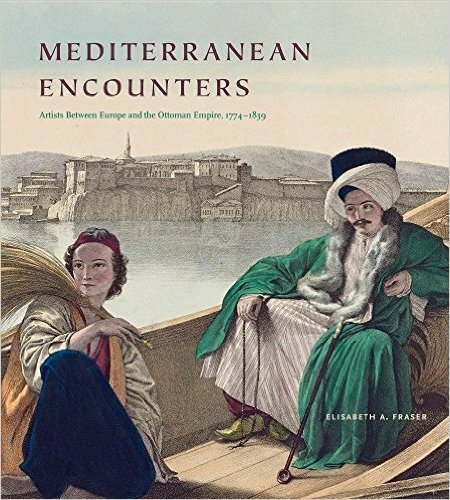 Marta Becherini brings to our attention a bewildering universe of Deccani effigies, bound into albums, and their European clientele, while Gwendolyn Collaço introduces us to an elusive Ottoman consumer of local (and thus more affordable) albums. Louise Voll Box delves into the mind and hands of an album-maker to show how the album becomes a site for the material experience of collecting. In a different vein, Freya Gowrley explores the emotional charge of British and American albums through the use of sentimental imagery. Both Kee Il Choi Jr and Anastassiia Alexandra Botchkareva, one focusing on albums of Chinese vases, the other on Persianate albums, discuss how albums work iconographically and as an editing table of sorts for the eighteenth-century connoisseur. Cover image: Raynal, Figures Naturelles de Turquie, 1688, red leather, in 4º (Paris, Bibliothèque nationale de France, gallica.bnf.fr / BnF). Print Quarterly 35.3 (September 2018) . . .
• John Roger Paas, Review of the exhibition catalogue Tiphaine Gaumy, ed., Images & Révoltes dans le livre et l’estampe, XIVe–milieu du XVIIIe siècle (Bibliothèque Mazarine & Editions des Cendres, 2016), pp. 308–10. “This catalogue with its thirteen scholarly essays and numerous images—many not widely known—focuses on political events, but more importantly it underscores the seminal importance of all visual material for our general understanding of the past. It is clear that these images are not of secondary historical importance” (310). • Julia McHugh, Review of Pedro German Leal and Rubem Amaral, eds., Emblems in Colonial Ibero-America: To the New World on the Ship of Theseus (Glasgow University Press, 2017), pp. 311–13. “The three sections of the book correspond to the three main colonies of the New World [New Spain, Peru, and Portuguese America]. In each section, two case studies follow a general survey of emblematic and symbolic culture, which foregrounds the distinct historical and geographical conditions of each administrative territory. These three preliminary essays by Víctor Mínguez, José Júlio García Arranz, and Rubem Amaral Jr. are extremely systematic and comprehensive and would be excellent additions to syllabi for colonial Latin American courses” (311). • Thomas Döring, Review of Jef Schaeps, Edward Grasman, Elmer Kolfin, and Nelke Bartelings, eds., For Study and Delight: Drawings and Prints from Leiden University (Leiden University, 2017), pp. 313–15. “The book was published to mark the 200th anniversary of the 1814 bequest of Jan Theodore Royer’s print collection to the University of Leiden. This gift became the basis of the university’s Print Room founded in 1825. . . The publication aims to offer a representative cross-section of the collection. Carefully conceived and handsomely produced, it fully lives up to this claim and to its well-considered title” (313). • Stephanie Dickey, Review of the exhibition catalogue, Victoria Sancho Lobis, with an essay by Maureen Warren, Van Dyck, Rembrandt, and the Portrait Print (Art Institute of Chicago, 2016), pp. 315–17. 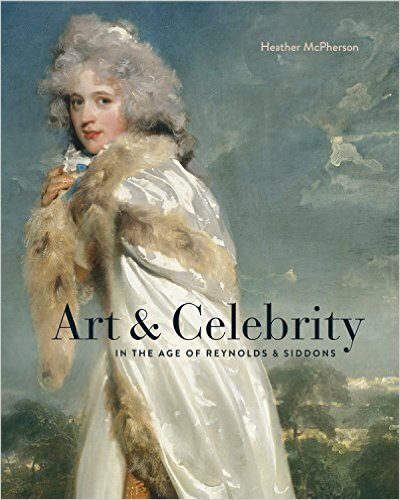 “This compact, handsomely produced publication documents an exhibition that featured 116 prints, two albums, and twenty portraits in other media, dating from 1522 to 1993, most from the Art Institute of Chicago’s own collection” (315). 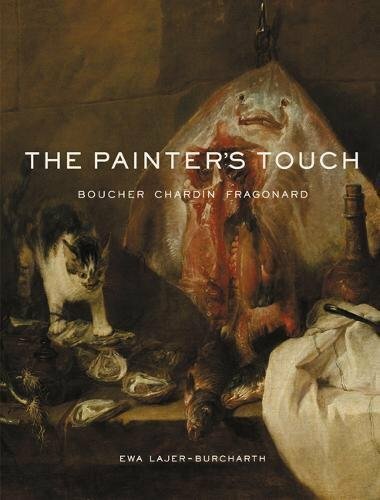 • Rena Hoisington, Review of the exhibition catalogue, Anne-Lise Desmas, Edouard Kopp, Guilhem Scherf, and Juliette Trey, Bouchardon: Royal Artist of the Enlightenment (Getty Publications, 2017), pp. 318–21. 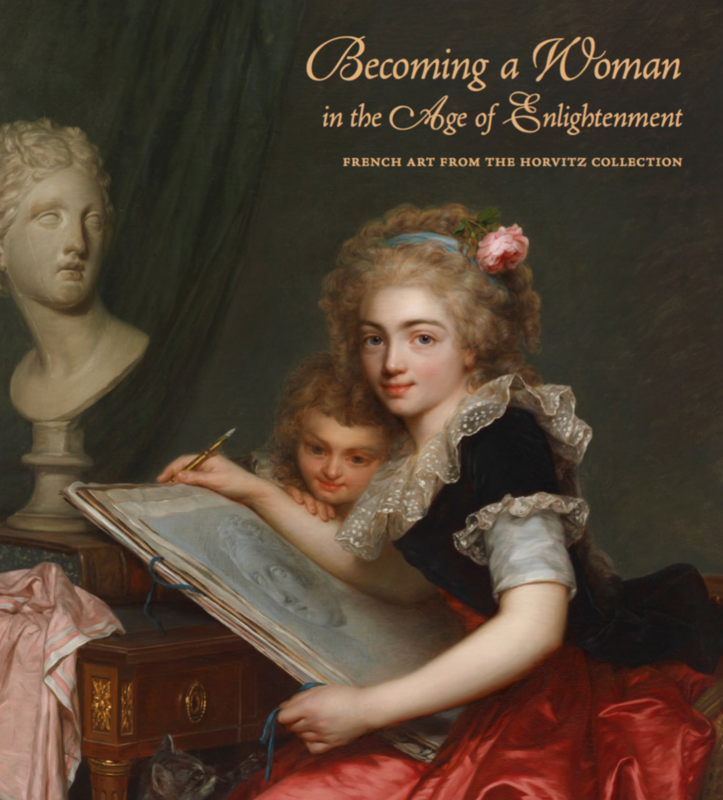 “Prefaced by essays written by each of the four contributing curators, this beautifully produced and lavishly illustrated catalogue includes images of hundreds of sculptures, drawings, prints and illustrated books (and a few paintings) discussed according to theme or project, including Bouchardon’s work on two celebrated landmarks in eighteenth-century Paris: the elegant Grenelle Fountain that still graces the street from which it takes its name, completed in 1745; and the equestrian statue of King Louis XV that once presided over the Place Louis XV, begun in 1748, completed after Bouchardon’s death by the sculptor Jean-Baptiste Pigalle and destroyed in 1792” (318). • Wendy Wassyng Roworth, Review of the exhibition catalogue, Bettina Baumgärtel, Anmut und Aufklärung: Eine Sammlung von Druckgraphik nach Werken von Angelika Kauffman (Harrassowitz, 2016), pp. 321–23. “An exhibition at the Winckelmann Museum in Stendhal, Germany . . . presented a selection of prints after Kauffman’s work . . . The exhibition catalogue includes examples of engraved reproductions by British and other printmakers . . . 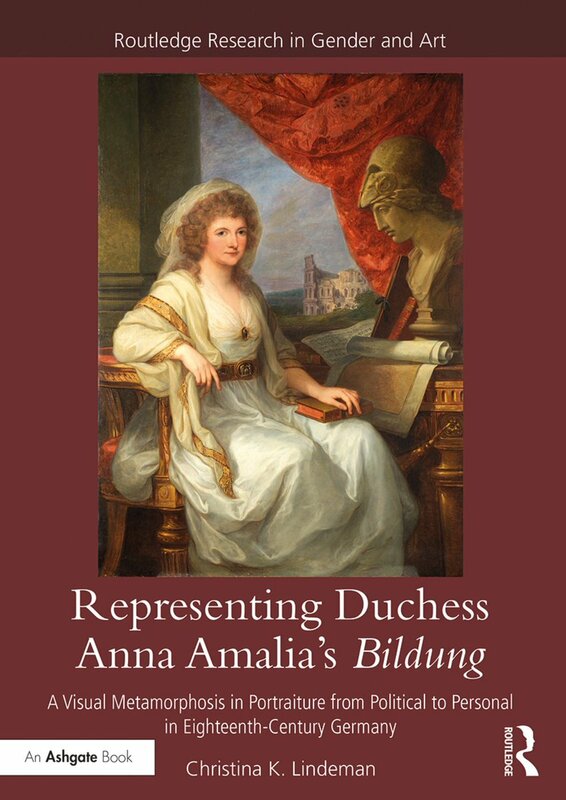 There is a detailed chronology of Kauffman’s life and work; an essay on prints after Kauffman and eighteenth-century printmaking; another essay on the Winckelmann portrait and its influence; a numbered catalogue of works exhibited; and a bibliography of cited sources. The catalogue of works exhibited is divided into sections according to subjects and themes Kauffman portrayed: self-portraits, portraits, mythology, scenes from Shakespeare and other poetry, Roman and early English history, allegory and genre” (322). • Monika Hinkel, Review of the exhibition catalogue, Timothy Clark, ed., Hokusai: Beyond the Great Wave (Thames & Hudson, 2017), pp. 323–25. “The superb selection, incorporating paintings, woodblock prints, drawings, manuals and illustrated books selected from collections around the world illustrate well the versatility of Hokusai’s striking work. They not only portray the ingenious way in which he amalgamated Japanese-, Chinese- and European-inspired techniques, but also reveal his profound knowledge of mythology, history, the natural world and religion and his strong interest in draughtsmanship” (324–25). • Stephen Clarke, Review of the book Lucy Peltz, Facing the Text: Extra-illustration, Print Culture, and Society in Britain, 1769–1840 (Huntington Library Press, 2017), pp. 353–55. 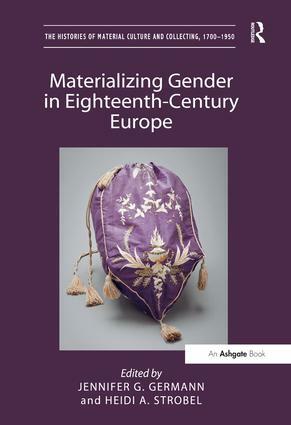 “Peltz’s book is the product of some fifteen or more years of research, during which period she has published a number of related articles, most notably the correspondence of Granger and Bull in the Walpole Society volume for 2004. 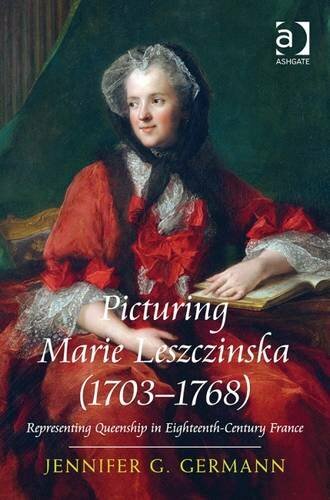 The result of her labours is by far the best and most detailed study of a phenomenon that has received surprisingly little scholarly attention. She divides the subject into three broadly chronological sections, using exemplars to tease out meanings and connections rather than aspiring to an impossible vision of encyclopaedic completeness” (354–55). Note (added 11 September 2018) — The original posting did not include quotations from the reviews.